Home - AAA Getaway CleaningAAA Getaway Cleaning | We Make Life Simple. AAA Getaway Cleaning has the answer you’re looking for. We are fast, professional, consistent, and we go the extra mile to do the job the way you want it. All for a price you can afford. We are a locally owned business, so you’ll get the attention you deserve. 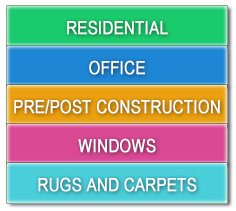 Our wide range of residential and commercial services can help make your life easier. We have two locations serving East Tennessee. We Make Life Simple. Call us today for a free estimate.